DeMarini Steel gives slowpitch players an option when they want to break away from using composite bats. 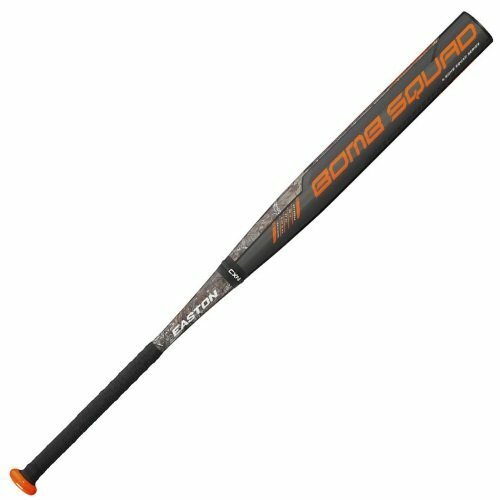 It is durable and high performing bat with a 13-inch barrel that has a standard 2¼ inch diameter and ZNX Alloy Handle with an ultra-thin handle for maximum comfort. DeMarini Steel also has a two-piece design and an end-loaded swing weight making it ideal for power hitters. It also approvals for use in most leagues including NSA, ISA, ASA, and USSSA. RCK Knob: DeMarini Steel has an RCK knob that will fit the bottom of the hand to ensure that a player gets a perfect grip. Barrel: The barrel on this bat is 13 inches long, and it has a standard size diameter of 2¼ inches. This barrel also goes through a proprietary heat treatment process, and this increases its performance and makes it very durable. Grip: It has an ultra-thin grip that is only 6mm in diameter, and this makes sure that it is comfortable for players with different hand sizes. Swing Weight: It is an end-loaded bat, and this makes it perfect for power hitters and for professional players who have enough experience to balance the weight. Approval Stamps: You can use this bat in most leagues in the USA because it has approval certificates from NSA, ISA, ASA and USSSA. ZNX Handle: A stiff ZNX Alloy Handle gives it less flex to improve the barrel performance. Design: It is a two-piece steel bat but with minimum sting and vibrations to ensure that you can swing it for long and with maximum comfort. The bat has less flex and a lot of power and pop. This slowpitch bat is all-round with excellent performance. It has a very fair price tag. Suitable for use in most leagues (slowpitch) in the USA. DeMarini Steel has some simple but very attractive graphics. Performs well given the fact that it does not have a composite barrel. It has a lifetime warranty just like most other DeMarini Bats. This bat guarantees you an impressive distance for every hit. It catches dents easier than other advanced brands. This bat is very end-loaded. The sound that the bat makes is not very impressive. Not hot of the wrapper and so you need to break it in. You may need to change the grip to make it more comfortable. Steel bats are also top performers and so you do not always have to stick with the same old composite bats. This DeMarini bat proves this and it is not only a top performer, but it is also very durable and this means that you will not have to spend money to acquire another one for a long time. Players that use this bat also find it very powerful with incredible power and a lot of pop. The fact that it also has certification from all the major bodies is another significant advantage, and if you add its affordable price, then you have an excellent slowpitch bat. However, it is not entirely flawless because some players also complain about the fact that you have to break it in and the small sweet spot. If you are shopping for a new bat, you should consider both positive and negative things about it and for this one the benefits that you get outweigh all the minor flaws by far. 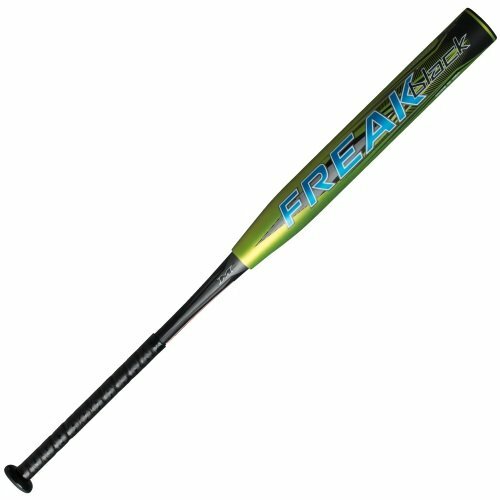 And so with all factors taken into account, the bottom line is that it is a best softball bat that a slowpitch player will enjoy using.